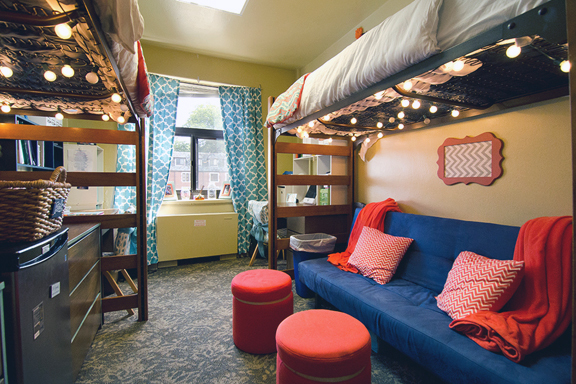 Changing the curtains may require a minimal effort but would have a significant impact. Just by adding different window treatments, the entire room will look brand new. Curtains also have multiple uses such as they are useful if you wanted to darken the room and make your daytime sleep better. They can block the sun rays coming and make your sleep more restful. Moreover, they come in different varieties like long curtains that puddle graciously on the floor and help in maintaining room temperature. Choose one that is most impressive and suitable for your needs. 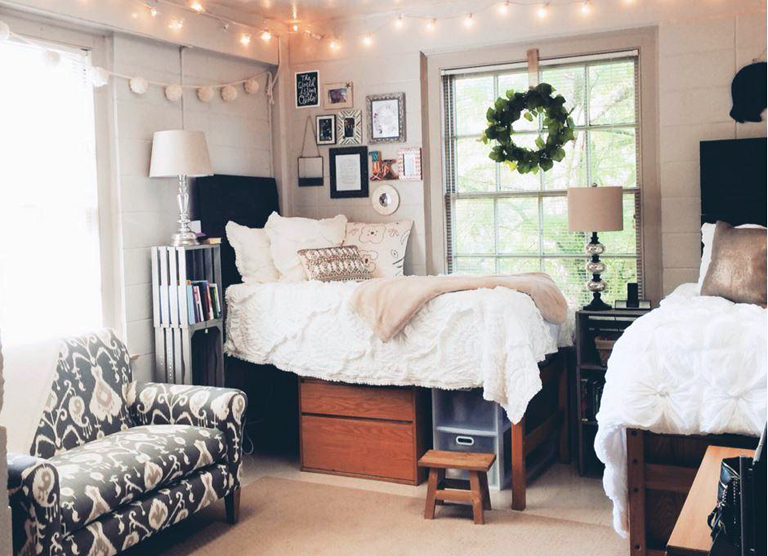 Decorating your dorm room is a great way to make your space feel more like home. Utilizing a comfortable rug has various benefits. It can warm up your space, reduce noise, and add a design element that sets the tone for the whole area. A rug on the floor is also an excellent option for extra seating without worrying about chairs. So, opt for a rug that is resilient and durable such as a wool rug, plush rug, and rug with synthetic fibers. Also, you don’t need to spend a fortune when buying a rug that fits in your room and ties the décor well.